When people say that what I do is marginal, I always tell them about the work of Fake Booij. I am a fan of his output, and he knows that, but even I have hardly any idea what he produces. 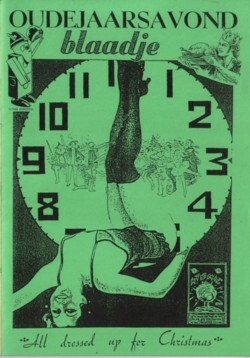 He makes fanzines in editions of two or three copies! 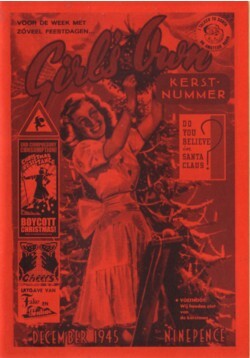 Only at Christmas a happy handful of carefully selected people get the latest edition of his Christmas zine. With CD! 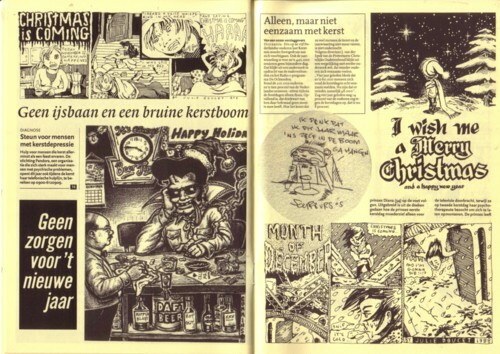 Fake makes this Christmas zine/CD together with Dirk Kloosterboer. I think that Peter Pontiac is also part of this project, but it is basically just as big a mystery to me as it is to you. 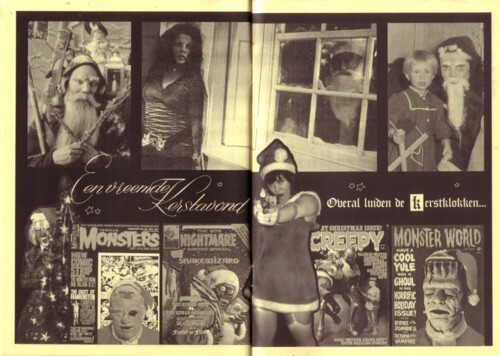 Every Christmas I get these zines of the shelves and display them in our living room. And of course I play the CD’s every year all through December. When people ask me where they can buy these, I can say with a smile that this is not possible: these are collectors items . The CD’s are compilations of Christmas songs, of course. Not all of the obscure kind, but it is done with much taste, as can be expected of Fake. Although Fake is the kind of guy that couldn’t kill a mouse if he had to save his own life, he has a passion for songs about murder. He has made some awful compilations on this theme, about which I hope to write later. 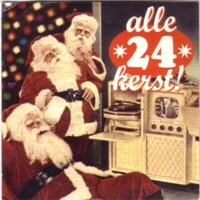 The Christmas compilations cover a wide spectrum of musical styles and epochs, from El Vez to The Sonics, from Big John Greer to The Youngsters and from De Zangeres Zonder Naam to Lord Executor. 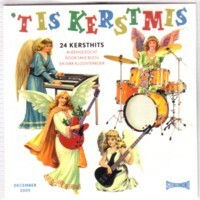 I am always amazed to see that on almost every Christmas compilation that I get there are songs that I have never heard before. How many Christmas songs have been recorded? And how many are added to this list this year/ Has anybody ever tried to make an estimation? Here is a song from a 45 that I just found this week: The Mistletoe Disco Band with one of the most hated Christmas songs: Jingle bells . That’s another nice one that is not in my collection. I bet you got loads of christmas songs that I lack, kind of envy you.